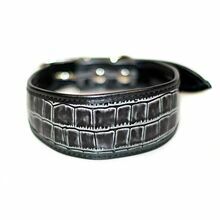 Traditional greyhound / whippet collar designed and handmade by us from luxurious genuine leather with snake pattern. Dark grey leather collar embossed with reptile skin imitation pattern and finished with black edge piping. 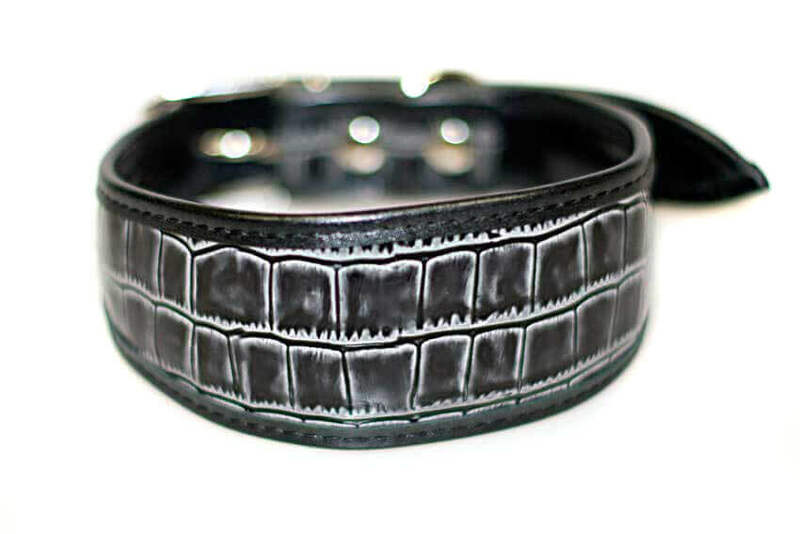 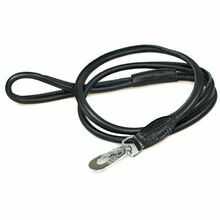 This traditional sighthound collar is fully lined with soft black goat skin leather. 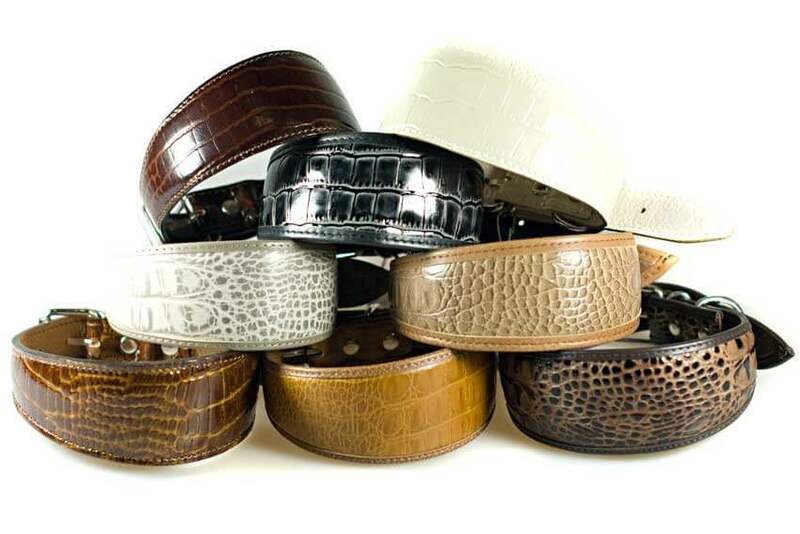 Our leather sighthound hound collars are stylish, look smart and at the same time are practical enough to be worn everyday. 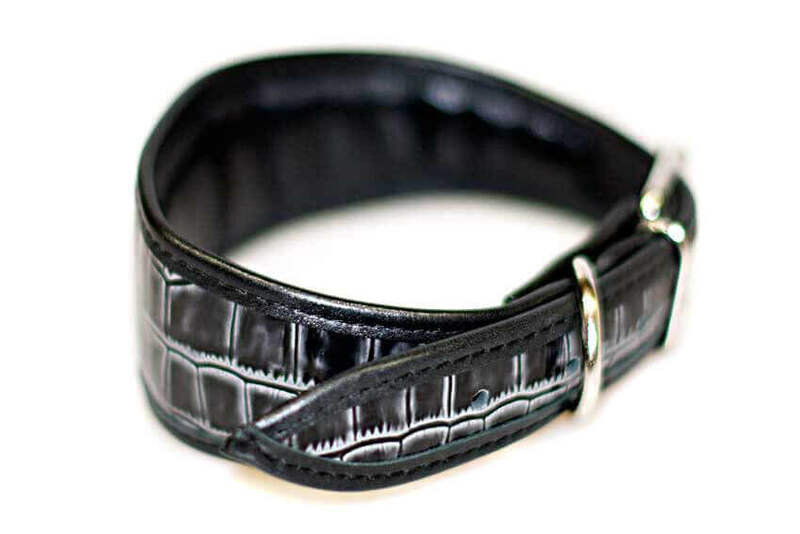 This collar features our improved buckle design and is generously padded for your hound's ultimate comfort. 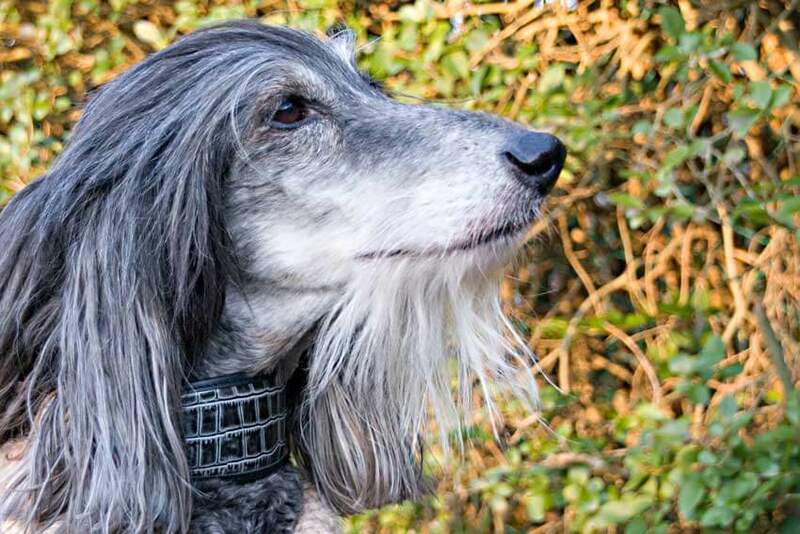 Will suit black, grey and all shades of blue and silver hounds.